Our banner stands are designed to withstand the wind, rain and snow! Advertising displays that stand out no matter what Mother Nature throws at you. 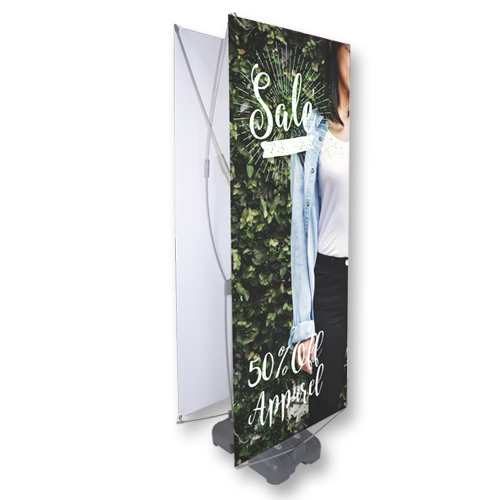 If you’re tired of reassembling your tipped-over promotional banners, or having to constantly pack up your displays before the weather turns, you’re going to love our Double-Sided Outdoor Banner Stands. These banner stands are easy to set up, and extremely durable, with a large base that can be filled with either sand or water for extra weight. Making them a must-have for any outdoor exhibitor.